We like the original cover with the mermaids riding the whale. Can't wait to see the story! We're excited! Don't worry, the original cover with the whale is solid--I'm just reworking the font. Ooh, I like these character drawings. 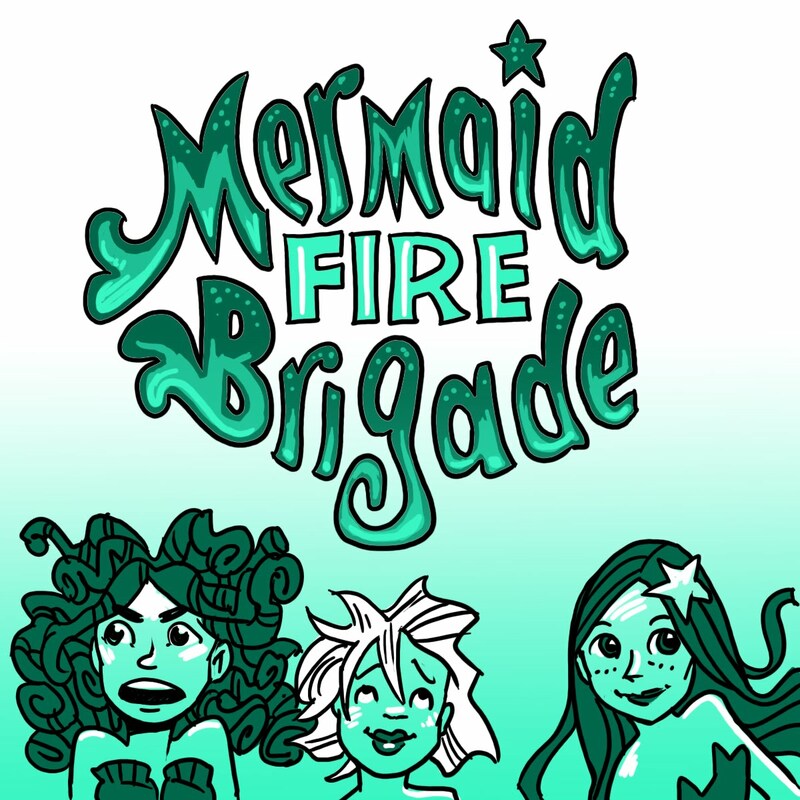 I love the idea of combining a traditionally girly thing (mermaids) with a traditionally boy thing (firefighters). As a mom of three girls, I get tired of all the girly princessy pink stuff. I like the new font - it draws attention to the Mermaid-Brigade rhyme. Looks like fun! Can't wait to see what's bugging that curly-haired mermaid. AMAZING! The mermaids look great, too - my favorite is the one on the right.